This simple Slow Cooker Lentil Smoked Ham Soup is so flavorful, no one will guess just how easy it is to make. 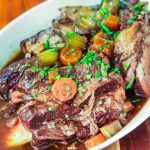 I love smoky flavors and one of the easiest ways to infuse soups with smoke is to add a ham bone or smoked turkey parts. At a recent holiday party, one of the guests was given a little package to take home – a ham bone from that evening. We had a good laugh because we understood what that bone could do for a pot of soup. A number of years ago, I took a cooking class with a local French chef and he made the most incredible lentil soup. The recipe was so simple, yet the soup had such flavor that I still remember that bowl of soup. The key to his lentil soup was simply adding some smoked ham. I have to confess my love for smokey flavors. You might remember my Smashed Avocado Toast with Smoked Salmon and Egg, Smoked Avocado Salsa, Smokey Gouda Macaroni and Cheese, Smokey Peruvian Chicken, Smoked Red Curry Coconut Chicken, Wok Smoked Tea Fish and Wok Smoked Tea Chicken. In my book, smoke is akin to a spice – it’s a flavor enhancer for sure. 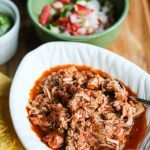 Whether you’re actually smoking food or using smoked ingredients (e.g., smoked Spanish paprika, smoked salt, smoked salmon or smoked turkey or ham), just a touch of smokiness can really bring a dish to whole new level. Recently, I found a piece of smoked ham bone that was humanely raised, uncured (no nitrates), antibiotic-free and hormone-free at Whole Foods. That’s a mouth-full, but the reason I mention that is I try to avoid foods that are unnatural, or that have been treated with chemicals. 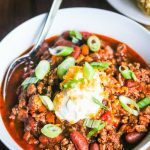 I love smoked foods, but I eat them in moderation, so when I do enjoy them, I try to make sure they are prepared in the cleanest way (hormone-free, antibiotic-free, preservative-free). This simple Slow Cooker Lentil Smoke Ham Soup recipe is so flavorful, no one will guess just how easy it is to make. I served this soup to friend recently on a day when it was just 18 degrees outside, and it was a real belly warmer. 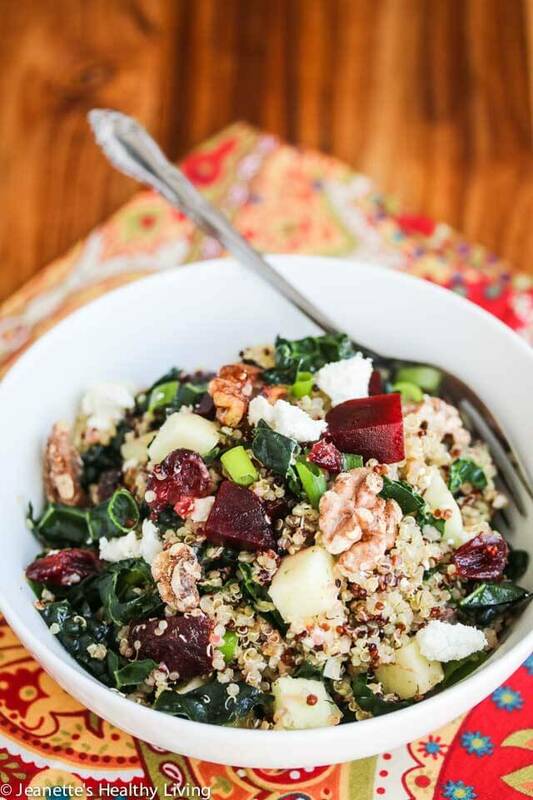 We each enjoyed a bowl of this soup along with this Quinoa Beet Kale Apple Walnut Goat Cheese Salad. Heat oil in a large saucepan over medium heat and add carrots, celery, onions and garlic; saute 4-5 minutes until onions are softened. Transfer to slow cooker and add lentils, smoked ham bone, bay leaf, thyme, Fines Herbes and chicken broth. Cook on high for 4 hours. What a gorgeous soup for winter! Looks delicious! Thanks! It’s a great soup for cold weather and freezes well. 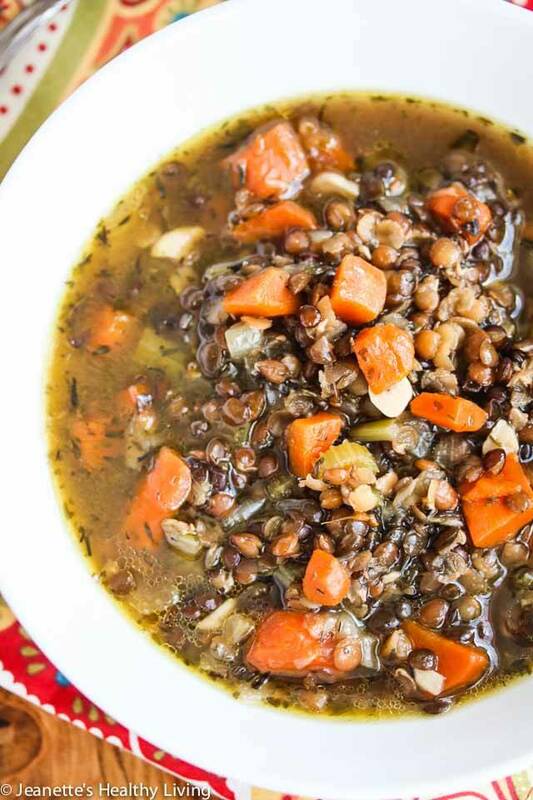 I love love love lentils – and this is one gorgeous bowl of soup! 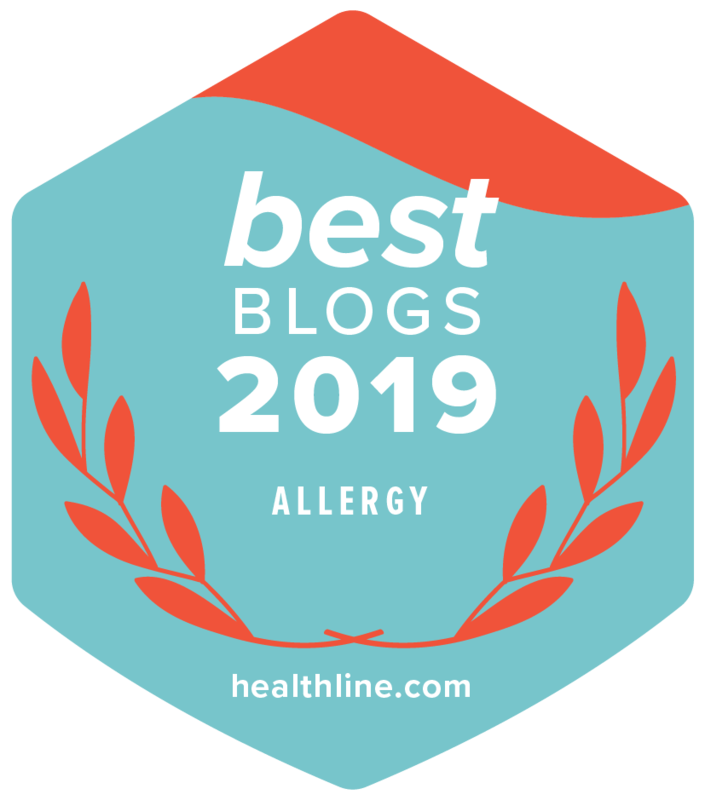 I haven’t ever tried lentils with ham – but seeing you say smoked flavors are akin to spice – I might have to copy this soon! Shashi – I love lentils too – just made some Indian lentils today for a friend. The piece of smoked ham adds so much flavor to this simple soup – I hope you have a chance to try it. Jeanette! love this soup! There will probably be one more really cold weekend where I can make this!! looks so delicious! Thanks Alice – I can’t believe it’s March and we still have so much snow! We’re still in soup making mode, so I hope you have a chance to try this before it gets warm. Thank you for a delicious, beautiful, seasonal menu option. My mouth is watering~ Your images are stunning! Thanks so much Jeanette for the nice soup. Have a beautiful day. Hi Liz – it’s finally getting a little warmer this week so some of our snow is melting. Meanwhile, just made more soup today. Hi Jeanette, this sounds like such a winner! 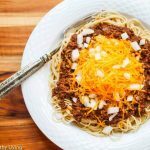 Thanks Kalyn – this is so simple but it is absolutely delicious. 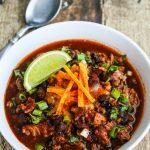 This soup looks incredible and I can just imagine how flavorful it is with the smoked ham and herbs! 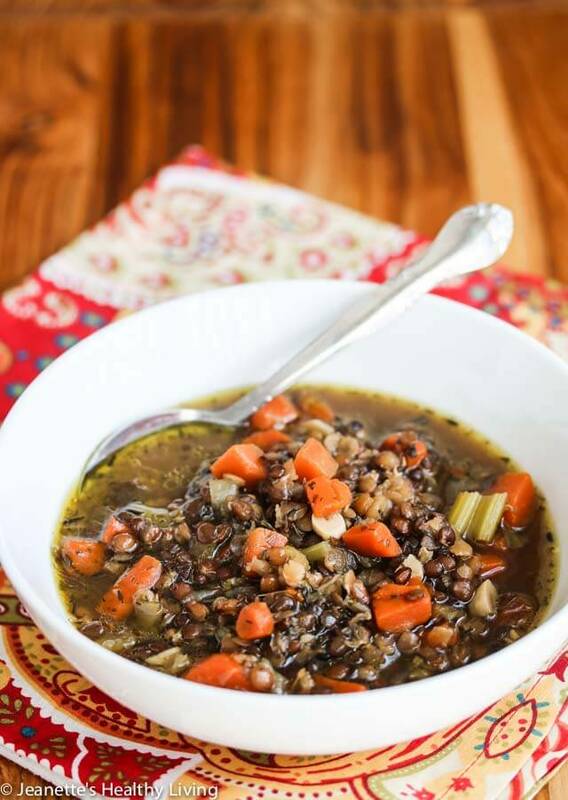 I love lentils and this sounds like the perfect soup to warm up with! 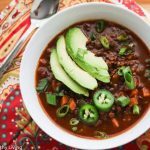 I love lentil soups and yours look phenomenal! And I really want that beet salad- yum! I am hungry just looking at this soup! 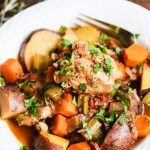 It looks so delicious and I love everything about cooking in my slow cooker! 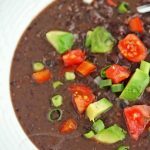 Great for those weeknight suppers and I know this is a healthy soup for my family! Lentil soups are definitely one of my favorites, and I loved how you paired it with some smoked ham! Simply delicious, Jeanette! 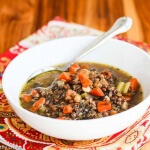 Thanks Lisa – lentil soups are one of my favorites too. I love them in soups and salads. you’ve gotta love a nice bowl of lentil soup. i always love it on rainy days…it used to be my go-to food. this looks great! Will be making this soon. What is this ” fines herbes”? Fine herbes is a dried herb mix that you can buy pre-mixed. 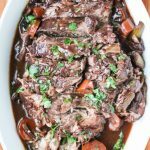 Typically, it contains parsley, chives, tarragon and chervil. You can substitute another herb blend if you like, e.g., Italian seasoning, or use thyme, oregano. Hope you enjoy this recipe! This was absolutely delicious, we love it! I can’t wait to make it again! I have tons of leftovers. I doubled the recipe it was amazing ! thank you . So so good !! Lentils where have you been all my life ? Wanting for a while to make a lentil soup this was perfect using our leftover Easter ham. Hi Julie, so glad you enjoyed this recipe – thanks so much for letting me know! I love lentils too! This was such a good recipe! I will never make lentils without ham and Thyme again. 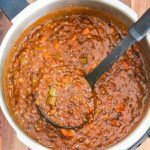 My mother used to make lentils but she must have always cooked them too long because they were always pretty mushy so it took some courage to print and try this recipe, but it was an instant winner with my family of 5. It doubles well and keeps well. And with most soups, the flavors just get better as it sits. Thanks! Hi Amanda, so glad you enjoyed this recipe! It’s so easy but the flavors are rich. Thank you for coming back to leave a comment about your experience!